Browse listings for Abaco rentals in the Bahamas below. The Abaco Islands in the Bahamas offer a beautiful location and laid-back lifestyle for those looking to rent in the area. 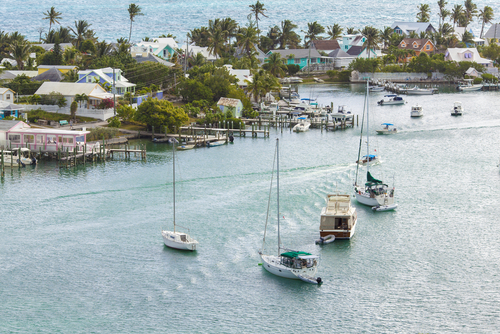 Abaco is made up of more than 120 miles of islands and cays, and is considered to be one of the top boating and sailing destinations in the world. Abaco homes for rent include condos, duplexes, and detached homes. Many properties can be found with ocean views, and residents in the area enjoy convenient access to numerous outdoor activities, shops and restaurants in Marsh Harbor, and ferry access to nearby islands. Browse all Abaco rental listings below, or keep reading about Abaco homes for rent and what the community has to offer. Abaco homes for rent can be found in a variety of property types, from waterfront homes to condos and duplexes. Whether you're in search of a beautiful beach cottage, a condo with spectacular views, or perhaps a rental with a guest suite, there are options to choose from in Abaco. Spacious detached homes on the beach provide plenty of room for you and your guests, with easy access to outdoor activities such as swimming, snorkeling and beach combing. For renters who would like more amenities, condos are available with a swimming pool, tennis courts, and private beach access. Abaco offers a relaxed pace of life with seemingly endless outdoor recreation opportunities, including diving in sparkling waters, ocean fishing, island hopping, golf at Treasure Cay, or just simply relaxing on the sandy beaches. As the Bahamas' third largest town, Abaco also provides its residents with a commercial area in Marsh Harbor, with restaurants, bars, and shops. Interested in viewing Abaco homes for rent? Our agents are experts on the Bahamas rentals and will be happy to answer your questions and set up a walk-through of your favourite Abaco properties. Contact us online or call 242-393-1811!